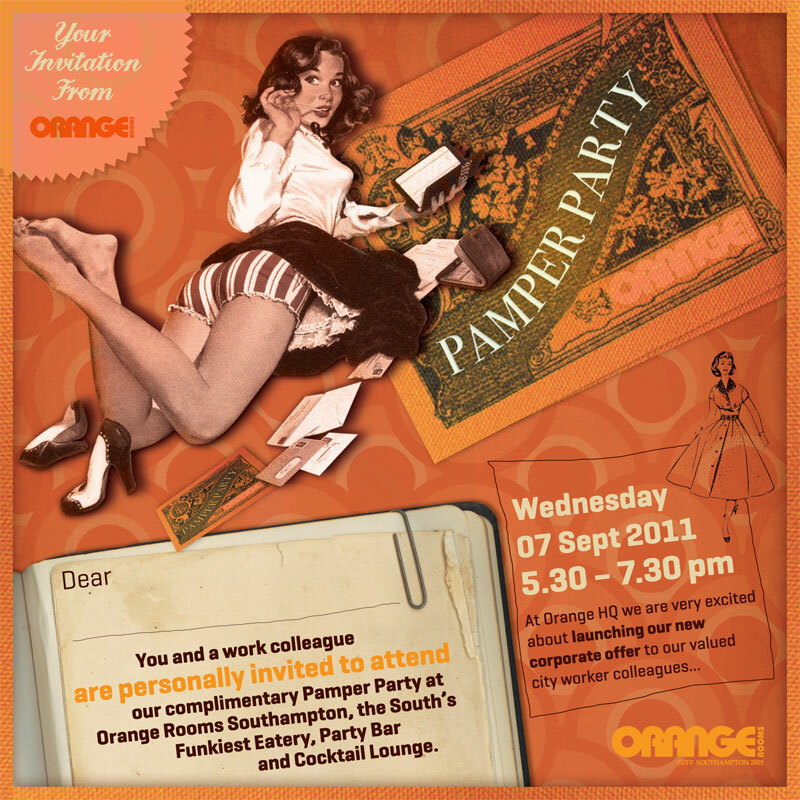 PA Pamper Party hosted by Orange Rooms in partnership with Future Employment and Destination Southampton on 7th September 2011. 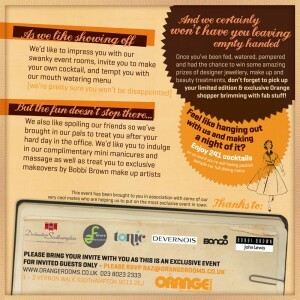 The event kick started the launch of Orange Room as the event venue, bar and restaurant with new corporate offers of meeting rooms, Xmas packages and food & beverage for companies and firms in Hampshire. An amazing turnout for the evening with over 80 key personnel, office managers, secretaries, personal assistants from corporates companies like PriceWaterHouse Cooper, Meachers Global Logistics, Poshpads, One Business Insurance, Paris Smith, CooperVision, Grant Thornton UK and many more. 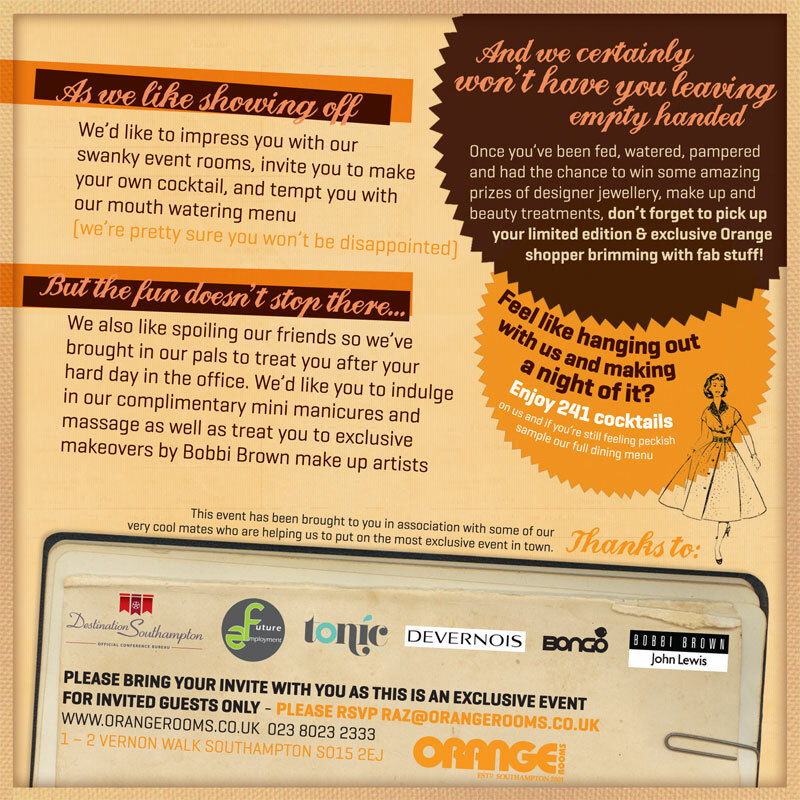 The party is entirely complimentary with many pampering services for guests to enjoy, Bobbi Brown offered makeovers; Tonic Hair & Beauty offered manicures and massage; Orange Rooms provided canapés and cocktails and master classes for perfect cocktail making; Devernois Boutique offered fashion and jewellery plus great prizes won and goody bags for every attendees. 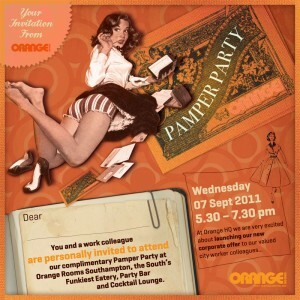 Thank you for our invite, we had a lovely time and met some lovely people. We got to try out the manicure and threading treatment where both great, the food was nice, especially the mini jacket potatoes, thank you again and I’ll look forward to any future events you may be holding, Michelle Compton and Kate Lineker, D & E Office Solutions. A Big thank you to all of you who attended and we hope to see you again! Stay beautiful Ladies!